And they look like your average morning jelly doughnut, but I assure you, there’s a lot more going on with these than you can imagine. Visually, the doughnut is a very light golden brown. As you bite into the beignet, you’ll notice that it is barely crispy. Actually, all of the crunch comes from the sugar coating the exterior. The texture of the dough is very light; the network between flour molecules is so weak that it disintegrates as soon as it hits your mouth. It’s like you’re biting into a delicious, crunchy pillow. 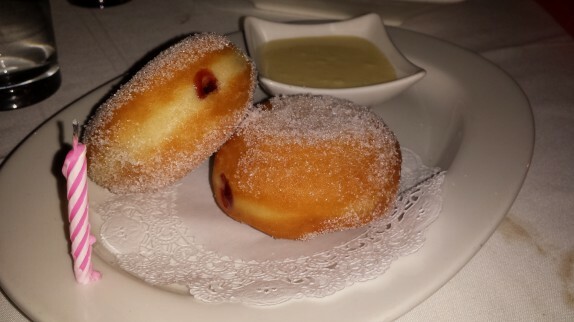 It’s unlike any doughnut or fritter that I’ve ever encountered. But there is more to this ethereal dessert. 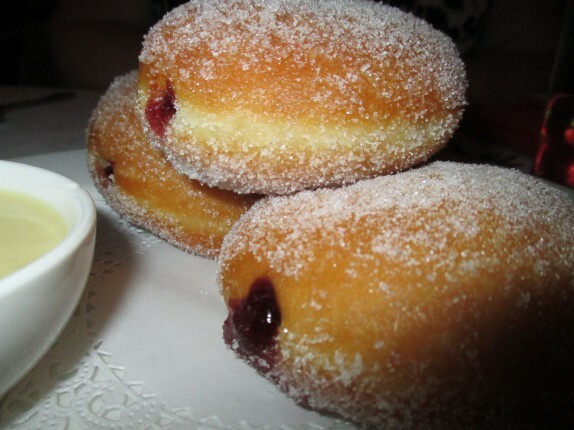 Each beignet is filled with a raspberry jam. But it’s not just jam off the counter from the market. This is clearly a refined filling that bursts with flavor as you take a bite. It’s not overly sweet, and it has a bit of acidity that helps balance out all of the sweetness. It’s strained so that it’s smooth and seedless. 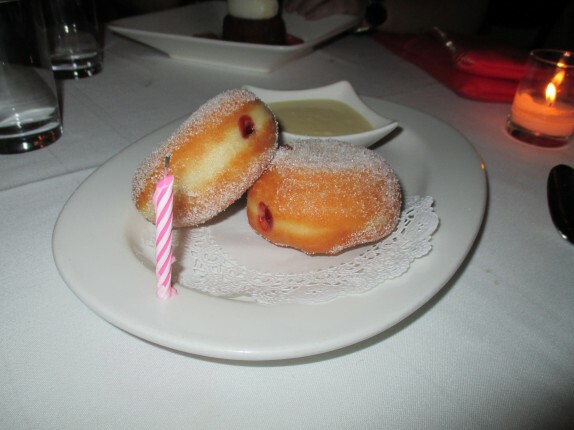 There’s just enough filling that you can still sense the doughnut. 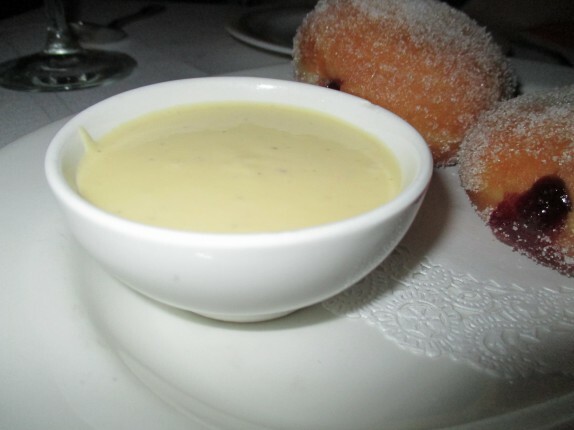 On the side, there’s a sumptuous vanilla crème anglaise that you can’t help but dip the doughnuts in. I’m not a heavy dipper, but this was so good that I couldn’t help but swirl every bite through the sauce. This dessert was so brilliant, we split a second order. 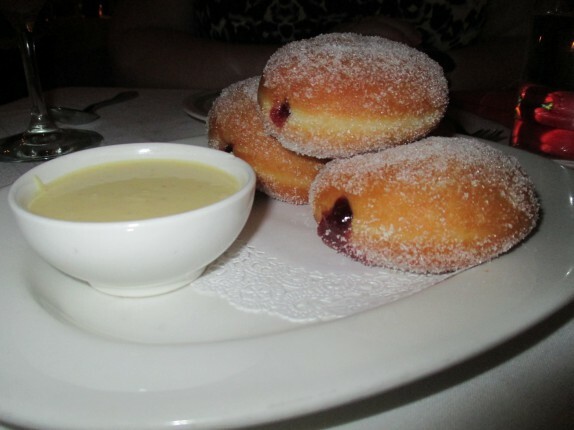 I looked over Butter’s menu…an amazing and exciting selection…the beignets looked divine…thanks for the great post.